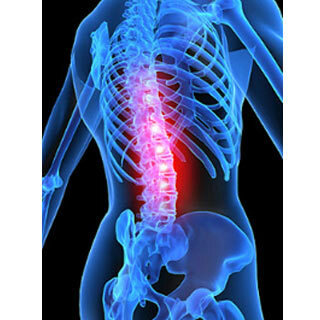 I enjoy reading research that impacts the care we provide or is related to what we do here in some way so this includes research into spinal surgery. I recently came across this paper that made me immediately think surgery does not have to be the answer for restoration of lumbar lordosis. Actually surgery should never be the answer for restoration of posture alone, surgery should be resigned for conditions in which other care fails or the patient has a serious, and possibly, a progressively worsening condition. As a chiropractor who specializes in posture rehabilitation I find this paper both exciting and frightening. This paper provides some great support for posture and curve restoration curve. The authors use some similar measurements as we use to look at the lumbar lordosis, (lumbar curve.) By improving the lumbar lordosis the posture and curves of the thoracic and cervical spines improved, not to ideal levels but much better than they were before the operation. Improvements in pain and function were substantial and even though there was no control group, based on other studies I have read, we should expect posture correction to provide better long term results than standard care. The big problem with this paper is to get these results the authors fused each patients spine by up to 9 segments in some cases. This is not necessary. In our office we utilize in office traction, exercise, and spinal adjustments to restore posture and improve health and function. We have gotten and can get great results with patients who are willing to work with us. This is not always an easy process but the payout can be huge. Compared to standard care when we restore posture towards normal patient results of decreased pain and improved function are maintained longer. This is the second paper I have recently read where surgery was utilized to restore posture in patients who might only minimally qualify for spinal surgery. The majority of patients in the study only had low back pain, it reads like it was severe low back pain, but no mention of pain, weakness, or numbness in the leg or foot. In our office we are willing to work with any patient except a small specific few with symptoms which would indicate they need a surgical consult immediately. The patients in this study would have been treated for, at least, several weeks in our office before being sent out for a surgical consult. In my opinion the patient in this study would have had similar results if they saw a chiropractor who practices as we do with the plus of not having the complications which come with spinal surgery. We have seen a number of patients who have had spinal surgery of some kind. For many of these patients the surgery was successful in reducing the pain and symptoms at that time but over the years new pain has emerged and in some cases the new pain is worse than the original pain. My grandfather is one who had spinal surgery in the late 1990’s due to a case of spinal stenosis which would not improve with chiropractic care. Unfortunately surgery was his only option after conservative care failed, this is the right time for surgery. The surgery at that time got rid of his severe leg pain which has never come back but today he has a constant level of low back pain that never is lower than a 4/10 on the pain scale. It pains me to think that patients could be convinced to have surgery to fix their posture, when it might not be warranted based on pain and symptoms, and then left with moderate low back pain years later. If surgery is an option for you or someone you know and they haven’t been to a chiropractor who has a focus on posture correction you or they really should. Our approach in chiropractic is different but based on a mountain of research in posture correction to improve pain, symptoms, function, and health. Our approach is also supported by medical research such as this paper, posture correction care gets better results than standard care in surgery as well as therapy. Call today because surgery does not have to be the answer for your spine pain.